Did you enjoy the Cryo2013 photos in this newsletter? If you'd like to see the entire gallery click on the facebook link below. Welcome to a truly bumper issue of our newsletter! In our quest to take our newsletter to new heights we have a range of brand new features in this month's edition, including a member news corner and member spotlight, among others. The editorial office, who kindly prepare this newsletter, is always keen to hear what is going on in your corner of the world, so if you would ever like to contribute any news, photos, or event listings please contact the editorial team. They would love to hear from you! As the newsletter gets bigger so does the formatting, so if this is not displaying correctly for you please view the online version instead. In other news, the 50th Annual Meeting, held in Bethesda, Maryland, was a resounding success. We owe the organizers, who have presented a full report in this newsletter, a vote of thanks for doing such a great job. The meeting was well organized, the venue was excellent, and the scientific sessions were superb. Although Cryo2013 has only just finished, we are already planning for next year's meeting, which will be a joint meeting with the Society for In Vitro Biology. Jason Acker, the Program Chair for the SfC has worked tirelessly to arrange this meeting, for which we are grateful. You can find preliminary details of what is being planned later on in the newsletter, but the program is by no means finalized, so if you would like to make a suggestion, do send it along to Jason. The annual meeting of the American College of Cryosurgery will be held January 15-19, 2014, in Key Largo, Florida. The SfC served as co-sponsors of the highly successful 2013 meeting, held aboard a cruise ship out of Miami in January, 2013, and the Board of Governors has voted to participate again in 2014 as co-sponsors. You can find out more about this meeting in 'Upcoming Events'. I will finish my term as President January 1, and Erik Woods will take office on that date. I have enjoyed my time as your leader, and I thank you for your confidence in my abilities to lead the Society by electing me to office in the first place. I think we have accomplished some constructive things during my term, and I thank the Executive Committee, Committee Chairs, and Board of Governors for their support and hard work. All mistakes were, of course, mine. 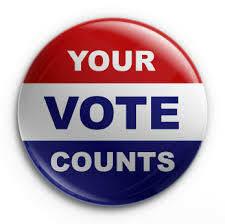 Hopefully you are already aware that voting is now open for the 2013 Elections for President-Elect, Treasurer, Secretary and Board of Governors. Voting will close on November 1 and the winners will be announced shortly thereafter. We regret that late votes cannot be counted. Our current voter turnout stands at 18%, so if you haven't already voted please do, as this is your chance to help shape the society's future. For full guidelines and to download candidate statements and a ballot form if you have not already received one, please see the election page on our website. Congratulations to Society Member and Governor Dr. Serean Adams, whose research has just been awarded a share of NZ$7million ($5.7million) per annum for the next seven years, from the New Zealand Ministry of Business, Innovation and Employment. Serean leads the cryopreservation program at Cawthron Institute, New Zealand's largest independent research center, where her team and research partners are developing methods to cryopreserve sperm, eggs and larvae of New Zealand's commercially important shellfish species, including mussels, oysters and geoducks. 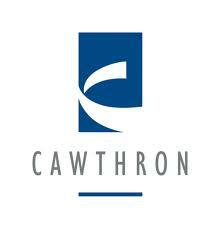 Cawthron Insitutute Chairman Ian Kearney states that this research investment round is "the most significant in Cawthron's 90 year history." Welcome to Member Spotlight!, our new quarterly feature on you, our society members. This month we'll be getting to know Erik Woods, President-Elect (pictured left), who begins his term as President of the Society for Cryobiology in January 2014. Erik has had a long and varied career spanning both industry and academia. He gained his PhD in Veterinary Clinical Science (Biomedical Engineering) from Purdue University in Indiana and spent the early years of his career as a Research Assistant and Fellow, and Consultant Biologist. 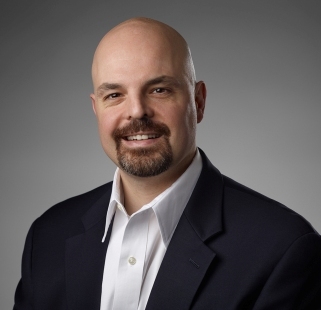 Since 2000 he has been President and CEO of Cook General BioTechnology, a company dedicated to advancing the science and practical application of processing, storage, and manufacturing of cells and tissues to empower new cell-based medical therapies. In addition to this, Erik is a laboratory director for The Genesis Bank and Genome Resources, and sits on the Scientific Advisory Board of BioLife Solutions. He also holds an Adjunct Assistant Professorship at the Herman B. Wells Center for Pediatric Research at Indiana University School of Medicine. How did you first become interested in the field of Cryobiology? As an undergraduate student, I met John Critser, who described natural and induced cryopreservation basics which really sounded incredible. In fact, I had a hard time believing some of it because at the time undergraduate biology curriculum had very little on sub-zero temperature biological implications. The concept that some animals could survive for periods of time “frozen” and that you could actually predict how cells would react to freezing by measuring parameters and modeling responses seemed completely captivated me. After graduation, I took a position as a laboratory technician in John’s lab, within a month he had me convinced to go to grad school and make this my life’s work. How long have you been involved with the SfC? I have been involved with the SfC since 1994. My first real experience with the Society was when we hosted the annual meeting in Indianapolis in 1996. I was actually very intimidated by seeing all the people in person who I had followed in the literature. That was probably the last meeting that relied primarily on slides instead of PowerPoint. I was tasked with keeping the slide carousels in order. I was horribly worried the whole time that I would somehow get them out of order to the point that I had nightmares about it, and then almost switched John Bischof’s slides with the set for Peter Steponkus! At the last minute, crisis was averted. The first time I ever left the country was to attend the meeting in Marseille on a student travel grant. That meeting really opened my eyes to how tight the scientific community of cryobiologists really is. Since I started attending meetings, I have only missed one for the birth of my daughter (probably a valid excuse). What do you hope to achieve in your term as president? I would like to ensure the SfC stays relevant to users of cryobiology technology while keeping our high scientific standards. Particularly with advances in agriculture, conservation and cell therapy as well as cryo-surgery, the link between the science and the end user needs to be strong. People are relying on our technologies, we need them to know we are here and can help. Who has influenced your career most, and why? My original mentor, John Critser, influenced my career the most. He opened my eyes to how powerful science can be, and importantly how fun and rewarding as well. His spirit and willingness to discuss even the seemingly most extreme ideas made coming to the lab a joy. We had many long conversations about the philosophy of science (as well as life) and how to make a career of it as well as how to perform successful research. I don’t think we went more than a week without speaking to each other from the time I started in his lab originally until he passed away. What advice would you give to the Society's student members who wish to forge a career in Cryobiology? Be persistent. It sometimes may seem lonely, but students need to know there are people like them with similar interests out there. Your final career might not be in your backyard, but if you want a career in cryobiology, they are out there. Also, at the end of the day, science will win. Make sure to start with a good foundation and build a tool box that will allow you to apply your skills in multiple areas. There are still many, many unsolved problems. What would you be doing if you weren't in the Biotechnology/Cryobiology field? I was initially an education major as an undergrad with a plan to teach high school and coach wrestling. I still enjoy working with young students and volunteer coach. I suspect that is what I would have done if I had not met John. Visiting the many parks in Indianapolis with my wife and two small children. My 3 year old daughter is very observant and I really enjoy hearing her responses to the world around her and asking about the many sounds and shapes in nature. My 9 month old son just has a good time wherever he is. The one commodity in life you can’t ever get back is time. If I have any of it free I prefer to spend it on them. 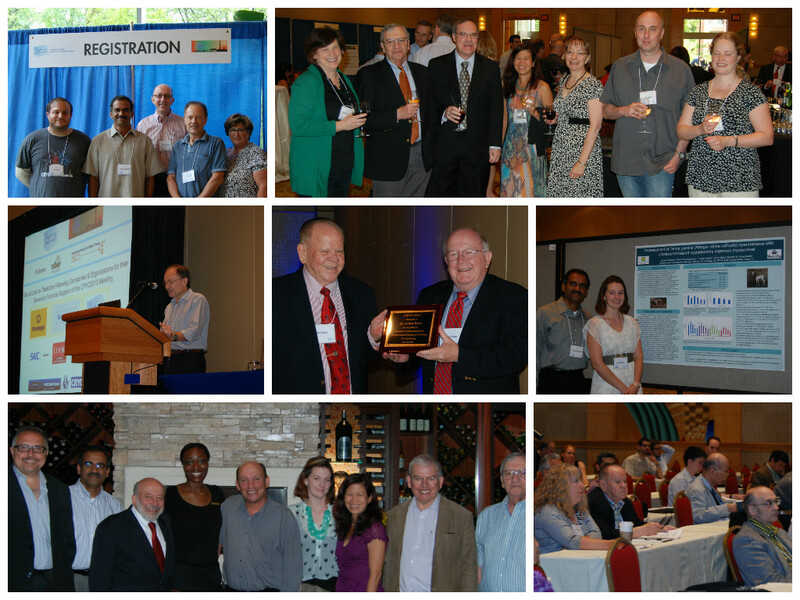 The Society convened for CRYO2013, its 50th anniversary meeting, in Washington, DC, from 28-31 July 2013. The meeting comprised 17 scientific sessions covering almost the entire range of disciplines represented in the Society, with a total of 156 presentations (114 podium and 42 poster). The Local Organizing Committee arranged a comprehensive and exciting scientific program that included three plenary talks, including a complimentary pair to open the meeting with a retrospective view of the "Past Milestones in Cryobiology" given by Stanley Leibo and a prospective view of "Cryobiology in the Future" by Erik Woods. The third symposium covered "Cryobiology of the Natural World" and was presented by Andrew Clark. In a new development for the Society all three symposia, along with other select presentations, were recorded and are now available to view on our brand new youtube channel. The International Society for Environmental and Biological Repositories (ISBER) partnered with the Society to present a symposium and a workshop on Biobanking, and the International Society for Cellular Therapy (ISCT) was a partner for the symposium on Cryopreservation and Good Manufacturing Practice. 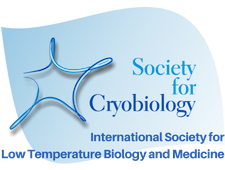 Partnerships between the Society for Cryobiology and both ISBER and ISCT have now been formalized and there are plans to hold further reciprocal joint sessions and symposia at each of the societies' respective annual meetings with the aim of fostering collaboration and interaction. The meeting attracted an unprecedented 25 exhibitors covering the full range of equipment, supplies and services related to cryobiology. CRYO2013 is especially grateful to these exhibitors for helping to support the meeting. In addition to the Society, there were seven sponsors for CRYO2013 (Promega, Biogen Idec, Cook General Biotechnology, SAIC Frederick, Chart/MVE, Brooks Life Science Systems and Sanaria Inc) , who variously supported the logistics of running the meeting, the AV systems, breakfasts, coffee breaks, the lunches, the welcome reception, the annual Society banquet and the music at the banquet. The level of support from these sponsors was unprecedented and marks a new level of interaction and co-operation between industry and the Society. Taking advantage of the proximity of the meeting to the center of Washington, DC, the social program included an afternoon trip to the Museum and Monuments area on the DC Mall and a scavenger hunt in the Smithsonian Museum of Natural History organized by the International Cryobiology Young Researchers (ICYR). The welcome reception was held in conjunction with the poster session providing a highly interactive and enjoyable environment to discuss science. At the meeting banquet, on the penultimate day of the meeting, Arthur Rowe gave a highly informative and entertaining review of the last 50 years of cryobiology with vignettes of many of the key personalities involved in the genesis of the Society and its subsequent development. The CRYO2013 Organizing Committee thanks all who attended, presented, exhibited, sponsored and volunteered in order to make this a truly memorable meeting and one which was, hopefully, worthy of a 50th Anniversary. The Society would like to thank the CRYO2013 Organizing Committee for doing such a wonderful job in organizing CRYO2013. They were Mark Cosentino, Eric James (Chair), James Leef, Budhan Pukazhenthi, Donna Pike, and Nucharin Songsasen. If you would like to see more photos from Cryo2013 you can find the whole gallery on our facebook page. During the past 50 years, the Society for Cryobiology with its journal Cryobiology, has been the primary leader in the field thanks to the many pioneers and their scientific colleagues and progeny who have contributed and disseminated research in low temperature biology and medicine. In 1940, B.J. Luyet published the treatise “Life and Death at Low Temperature” and is credited with being the Father of Cryobiology. The accidental discovery by Polge, Smith and Parkes, in 1949, of glycerol as an effective cryoprotectant for spermatozoa and later red blood cells stimulated great interest in freeze preservation. Research on freezing cells and other biological materials was rapidly initiated by many research laboratories in academia and industry in the early 1950s and 1960s. This increase in low temperature research became international and soon required venues for disseminating new findings. In the United States, the first organized assemblies of interested scientists were held at the large multi-disciplinary FASEB meetings in Atlantic City, New Jersey each year. One of the first large meetings devoted entirely to cryobiology took place in Buffalo in the early 1960’s and it soon became obvious to a group of attendees that there was sufficient interest to form a society. In 1964, the Society for Cryobiology was founded, with B. J. Luyet selected as its first President. Simultaneously, the Society initiated the publishing of Cryobiology, the International Journal of Low Temperature Biology and Medicine with T.I. Malinin as its first Editor-in-Chief. Interest and research in cryobiology expanded rapidly with many institutions being established in the United States, Canada, England, Switzerland, Ukraine, and Japan among others. Many smaller societies devoted to cryobiology, cryomedicine, cryosurgery, and cryogenic technology were spawned. 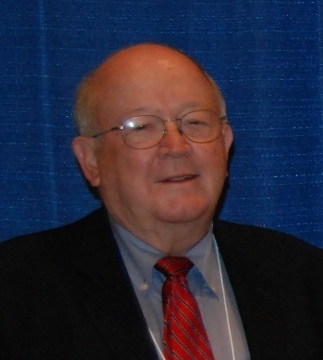 In recent years, the Society has recognized those outstanding scientists who have had a scientific impact and contributed significantly to the science of cryobiology, generated outstanding scientific offspring, and contributed service to the Society, by establishing the category and distinguished honor of FELLOW of the Society for Cryobiology. In 2013 we celebrate the previous fifty years of Society for Cryobiology history, and look forward to the next fifty. 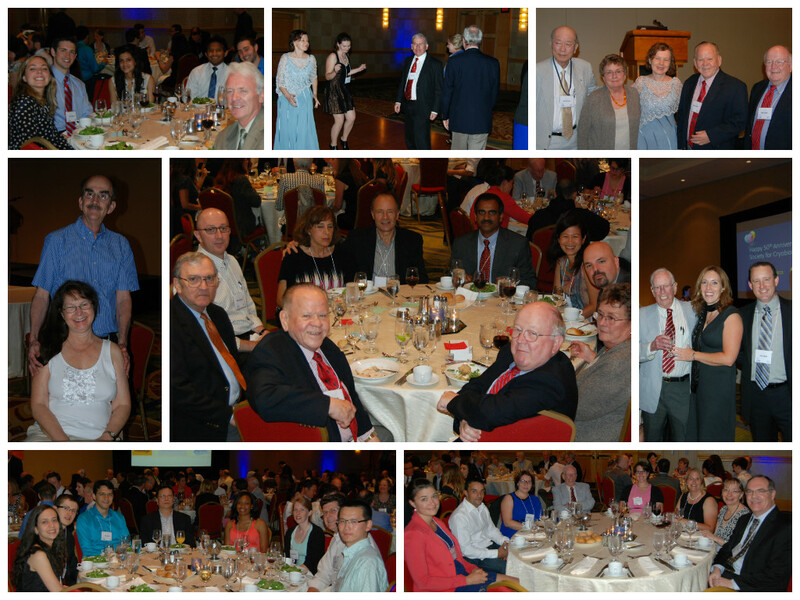 Above: A selection of images from the Cryo2013 50th Anniversary Banquet. John Bischof, University of Minnesota, MN. Kenneth Diller, The University of Texas at Austin, TX. Recognition as a Fellow of the Society for Cryobiology is a testament to both their research and long-term involvement with the Society, and we are sure that all members join the Board of Governors in wishing them hearty congratulations on this milestone achievement. 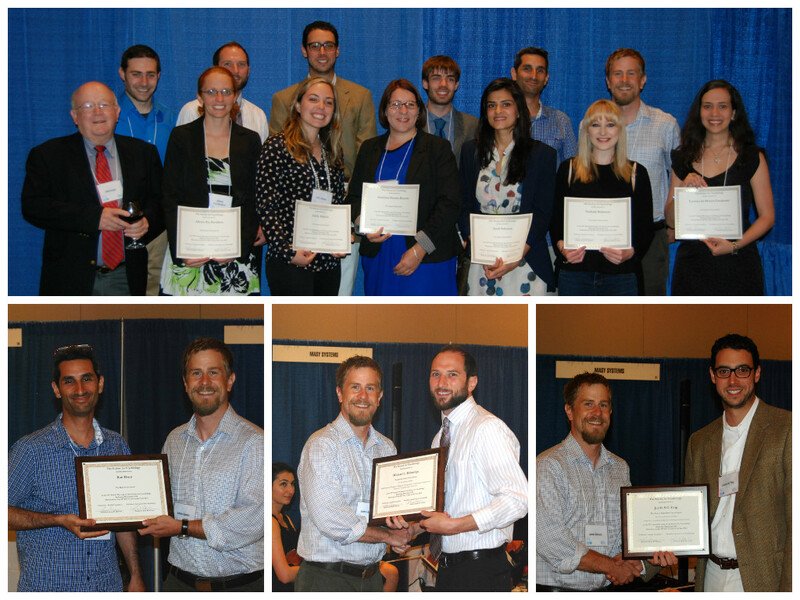 The Society offers ongoing support to student members, encouraging and recognizing excellent research with the Peter L. Steponkus Crystal Award and the Best Poster Award, and helping toward the travel cost of attending our annual conference with the J. K. Critser Travel Award and the Student Travel Awards. For more information on our student awards please visit our Awards and Grants page on the Society's website. This year's awards were presented at the Cryo2013 pre-banquet apertifs by Dr James Benson, and we are pleased to list them in full below. Bottom, L-R: Ran Drori, Michael Etheridge, Justin Feig, all pictured with James Benson (Awards Committee). The International Cryobiology Young Researchers’ (ICYR) is a group of students, post-doctoral associates, scientists, and professors who work in the field of Cryobiology and are at the early stages of their career. The primary motive of the group is to promote career development of members and to facilitate interaction between young cryobiologists from around the world. The ICYR social event organized during the Annual Meeting promotes interaction between young and more experienced cryobiologists in a relaxed environment. Taking advantage of our Washington, DC conference location, this year's ICYR social event was a scavenger hunt through the Smithsonian Natural History Museum. A total of 9 teams and 45 people took part in the event, and teams scored points for answering questions correctly as well as finishing within the 1.5 hr time limit. Teams could also score points for the best team name. The scavenger hunt facilitators chose “Cryo My Eyes Out”. The overall winner of the scavenger hunt was Team Rabin, which consisted of students from the Biothermal Technology Laboratory at Carnegie Mellon University. Overall the hunt was more challenging than expected, with questions like 'What hopeful woman apparently thought, when storing her jewels, “Sofa, so good!"' (find the answer at the end of the newsletter!) but participants agreed that it was a fun, yet quickly paced, tour through the museum. A big thanks to everyone that participated and to Watson Adventures for facilitating the event. The 2014 World Forum on Biology - Joint Meeting of the Society for In Vitro Biology (SIVB) and the Society of Cryobiology (SfC) - will be in Savannah, Georgia from May 31 – June 4. The planning is still at its early stages, so if you would like to propose or chair a symposium you can download the form from our website and send it to the program chair, Jason Acker. The Society is pleased to announce that membership renewal will be available from November 1, 2013, and you will receive an email reminder when we start accepting payment for 2014. The good news is that renewal will be easier than ever as the editorial office is now handling all new and renewing membership applications and enquiries. We have recently added a Paypal link to the website which allows you to pay your annual dues online safely and easily. Please note that you do not need to sign up for a Paypal account to use this service, all you need is a credit or debit card. If you wish to change any personal details such as address, email address or telephone number, or pay your annual dues using an alternative method of payment such as check or bank/wire transfer you can do this by filling in the renewal form, which will be available on the membership renewal page. If you have any questions regarding your renewal please don't hesitate to contact us. Registrations for the 2013 Proficiency Testing Programme are now open. Endorsed by ISBER (International Society for Biological and Environmental repositories), IBBL (Integrated Biobank of Luxembourg) will open registrations for a biorepository Proficiency Testing (PT) Programme in September and October 2013. PT is a critical part of a laboratory’s quality management system (QMS). Participating in PT programmes allows laboratories to compare their analytical performance to that of other laboratories using similar methods, thereby allowing them to identify internal problems such as issues with calibration or test interpretation. PT programs then suggest ways in which laboratories can improve the accuracy of their measurements. In September IBBL is launching the next edition of their successful international PT programme, which last year included participants from North America (42%), Europe (28%), Australia (20%), Asia (8%) and Middle East (2%). As part of the programme, IBBL will send a series of blinded samples to participating laboratories, assess their submitted results against values determined by reference laboratories, and give an indication of the performance of individual participants as well as the group as a whole. Evaluations are carried out in strict accordance with international standards and results are divided in four classes: “very satisfactory”, “satisfactory”, “questionable” and “requiring action”. At the end, each participating laboratory receives a report that includes a statistical summary of all anonymised participant results as well their own specific performance results, with comments and feedback. A comparison with all previous PT rounds is also included in the personalized report. Exclusively this year a bonus for the evaluation of DNA extraction efficiency from whole human blood will be offered to participants who subscribe to more than one PT scheme. Participants are free to choose one or several suitable methods. The successful applicant will undertake structural analysis by high resolution cryo-electron microscopy and single particle analysis on protein complexes associated with the ubiquitin-proteasome system, in particular the 26S proteasome and the COP-9 signalosome. The goal is to establish an improved understanding of these molecular machines which are either established or potential targets for cancer drugs. Who should apply: Applicants should possess a PhD (or equivalent) in biological sciences. Experience in and enthusiasm for structural biology is essential and experience in electron microscopy and single particle analysis would be highly advantageous. For more information please visit http://www.findapostdoc.com. This Experienced Researcher post arises as part of a large-scale Marie Curie Initial Training Network S3NANO (http://www.s3nano.eu/) joining 12 leading European groups in spin physics research and low-temperature technology. In this post, you will carry out development of an advanced nuclear demagnetization for a dry dilution refrigerator system. The candidate’s task would be to design and construct such a device to reach sub-millikelvin temperatures and also to measure them using a pulsed NMR and a Platinum thermometer. Who should apply: You will hold a physics or engineering degree relevant to low-temperature physics and technology. A PhD in low temperature physics is desirable. For more information please visit http://www.eurosciencejobs.com. The program will include both symposia on topical subjects and a session of free communication on any aspect of low temperature biology. The 17th World Congress of Cryosurgery organized by the International Society of Cryosurgery is taking place next month in Madrid at the dual locations of the Gran Hotel Ayre Colon and University Hospital Gregorio Marañón. The scientific program includes cryosurgery symposia as well as live demonstrations of prostrate, bronchial and thoracic pathology cancer cryosurgery. The 40th annual meeting of the Japan Society for Low Temperature Medicine, in association with the International Insitutute of Refrigeration (IIR) and the International Society of Cryosurgery (ISC), is being held from November 28-29 in Nagoya, Japan. The conference will include special symposia on tissue and cell preservation for transplantation and cryopreservation of genetic resources, alongside symposia on a number of other cryosurgery related topics. For further information visit the JSLTM website (The English announcement is at the bottom of the page). This year's theme is "Cryo2013 - Present and Future" and the program features plenary lectures and symposia on cryoscience, cryomedicine, cryosurgery/cryoablation, cryopreservation and cryotechnology. The American College of Cryosurgery will be holding its annual conference in Key Largo, Florida in January 2014. The conference will include participation from the Society for Cryobiology (co-sponsors), the Cryogenic Society of America and the Society for Thermal Medicine. The deadline for early registration and abstract submission is October 15, 2013. Evalyn Walsh McLean, who hid the Hope Diamond in her sofa!